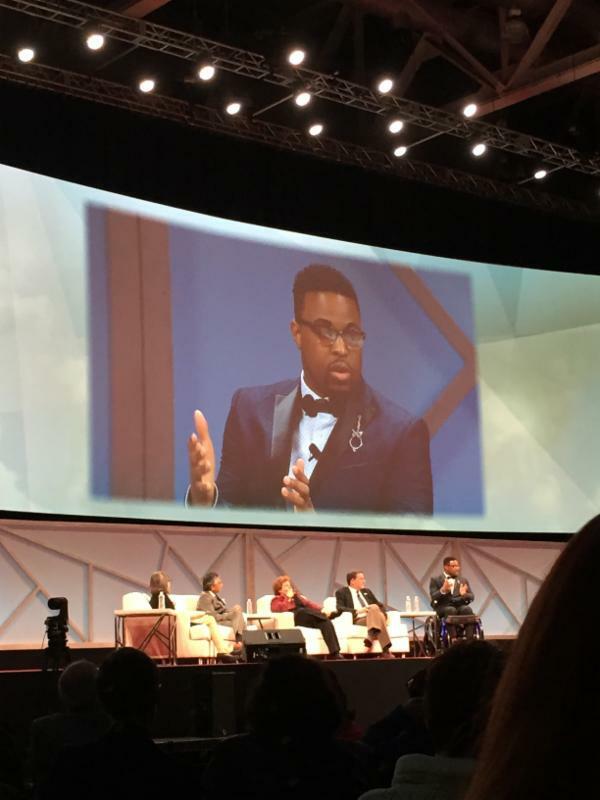 Members of the National Transformation Network joined the Kern Institute at the AAMC Annual Meeting in Boston to lead a national conversation on the need to change how medical students are educated with a focus on character, competence, and caring. 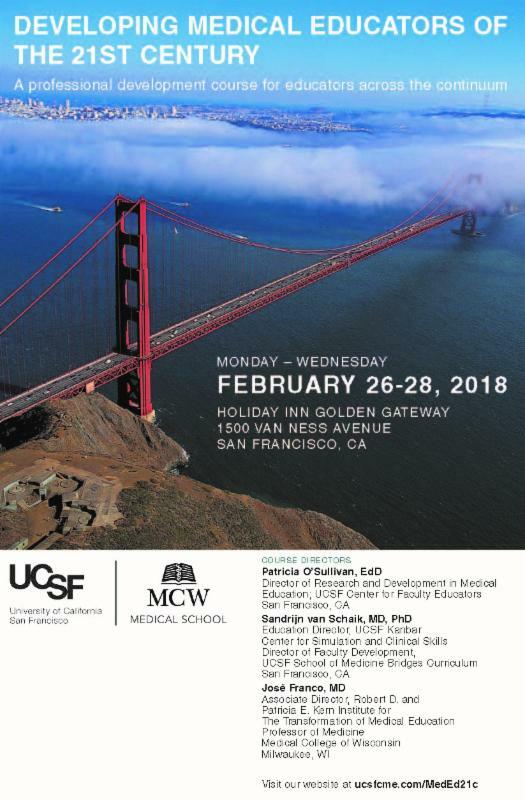 The work of the National Transformation Network members was featured in several academic sessions at the conference, including three roundtable discussions focused on the role of character in medical student admissions, in the transition from undergraduate to graduate medical education, and in clinical settings. During the conference, the founding members of the National Transformation Network were honored in a special reception that featured remarks by Darrell Kirch, MD, President of the AAMC, as well as the President of the Kern Family Foundation, and MCW leaders. Speaking during the reception, Dr. Kirch commented on how impressive it was to see the commitment and collaboration underway through the Kern Institute and the National Transformation Network. 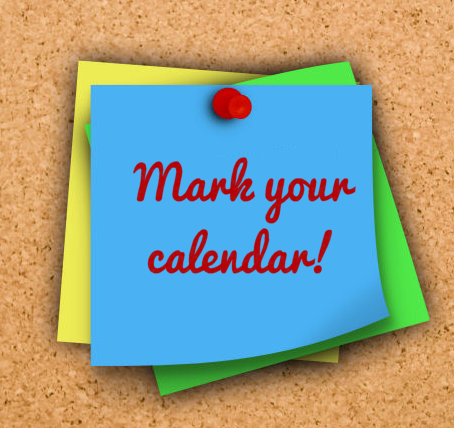 Early-bird registration ends December 15, 2017 . For more information or to register for this course, click here: Developing Medical Educators of the 21st Century. 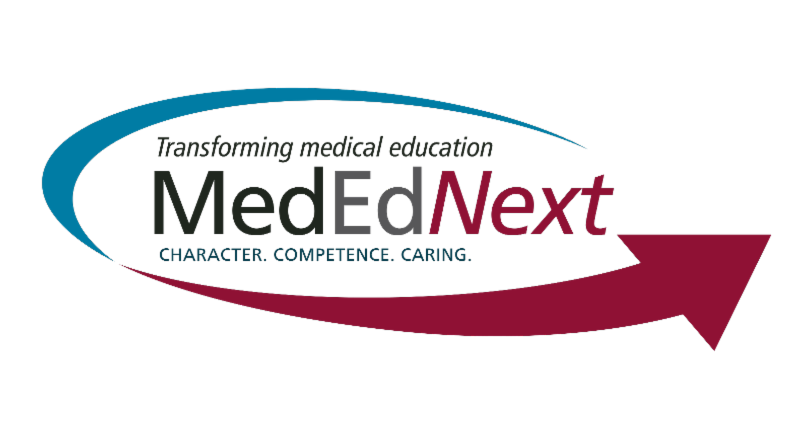 Visit our newly expanded website at MedEd Next .org, where you can learn more about our mission, how the National Transformation Network was formed, and what long-term strategies we are working on. Over 4,500 AAMC conference attendees spent multiple days in Boston during early November learning through workshops, plenary sessions and networking events that highlighted contributions to innovation, research, and community in medical education. The Association for Moral Education (AME) held their 43rd annual conference in St. Louis on November 2-4. 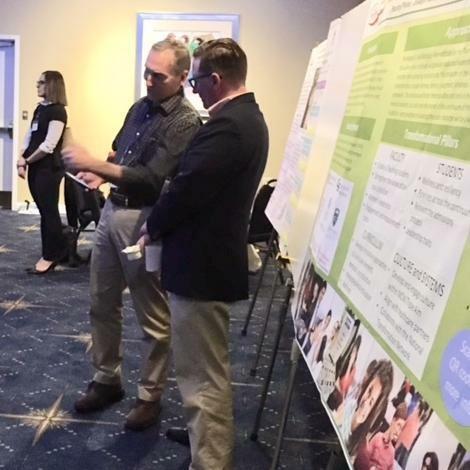 MCW's Sandra Pfister, PhD, and Ryan Spellecy, PhD, attended as representatives of the Kern Institute, presenting posters and attending sessions. One of the big takeaways, according to Dr. Spellecy, is that character can be measured. "Character can be measured," says Spellecy, "but we have to clearly define what we mean by character in a detailed fashion, and then identify what interventions have been empirically shown to produce the effects we seek before we should turn to measurement. Additionally, we need to focus on the whole character, not just the good, and not just the bad. If one focuses only on character strengths, for example, one might create really excellent criminals . The ability to understand someone else's perspective is essential for a physician, but also for a con man. Focusing on the whole character can avoid this. Lastly, there is debate over whether people are consistent in their character, or if character is better understood as a series of coherent, successive selves that are always changing over time." To view the posters, please click on the links provided below. Pillar 2 , led by Michael Lund, MD, is the MCW group working on the transformation of stu dents. 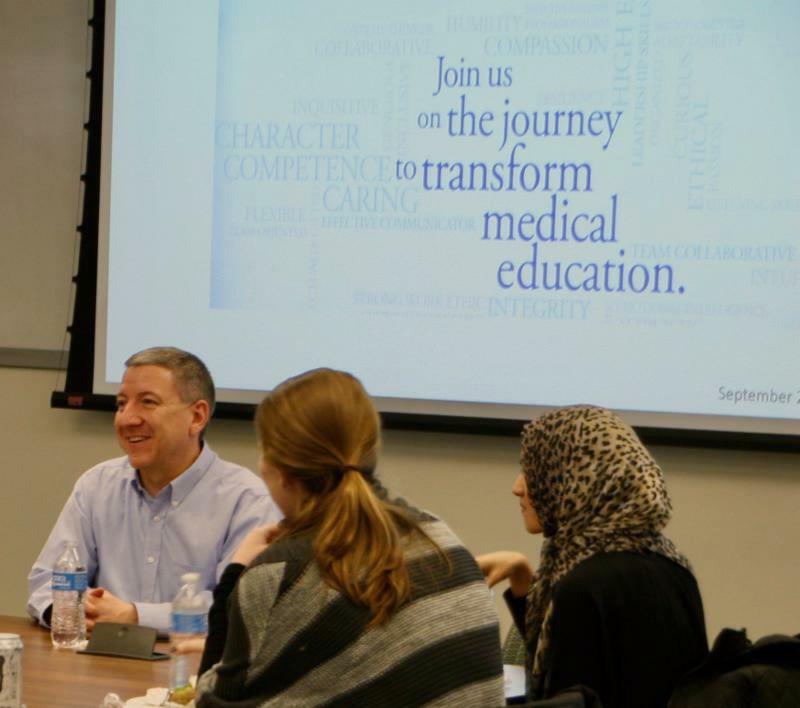 This group is working on several tasks to improve the lives and experiences of our medical students. First, they will enhance our pipeline programs, designed to attract the best and brightest students from diverse backgrounds to our medical school and other medical schools, focusing on students who will practice medicine w ith a firm foundation of collaborative leadership and good character. 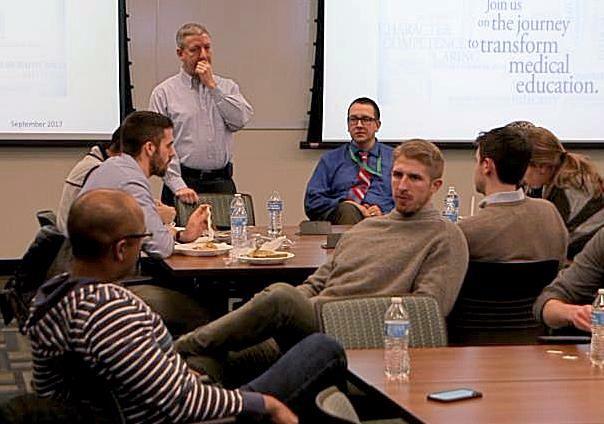 A dditionally, Dr. Lund's team is looking at ways to transform the medical school admissions process both here and with our partners in the National Transformation Network, placing more emphasis on qualities like character and caring in addition to the traditional admissions criteria. Finally, they aim to improve leadership experiences, student well-being, and the clinical learning environment in general through broad initiatives involving faculty, staff, housestaff, and residents. 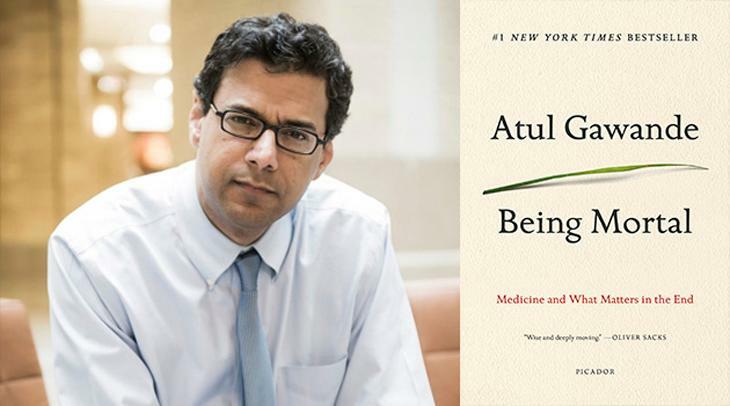 In his bestselling book, Being Mortal, Atul Gawande, a practicing surgeon, fearlessly reveals the struggles of caring for the dying in his profession. Through eye-opening research and gripping stories of his own patients and family, Dr. Gawande reveals how doctors, uncomfortable discussing patients’ anxieties about death, fall back on false hopes and treatments that are actually shortening lives instead of improving them. In examining his limitations and failures as life draws to a close, he discovers how we can do better. He follows a hospice nurse on her rounds, a geriatrician in his clinic, and reformers turning nursing homes upside down. He finds people who show us how to have the hard conversations and how to ensure we never sacrifice what people really care about. For a more in-depth look at Being Mortal, click here for the NY Times book review or you can watch the Frontline video featuring Dr. Gawande's personal journey.